Product #1293 | SKU 030HAS | 0.0 (no ratings yet) Thanks for your rating! The Manfrotto 030HAS Hexagonal Quick Release Plate is a hexagonal quick release plate for the RC0 hexagonal quick release system, specifically designed for Hasselblad cameras. It features a form-fitted groove which allows the baseplate of a Hasselblad to mount securely. The camera will not rotate on the camera screw. 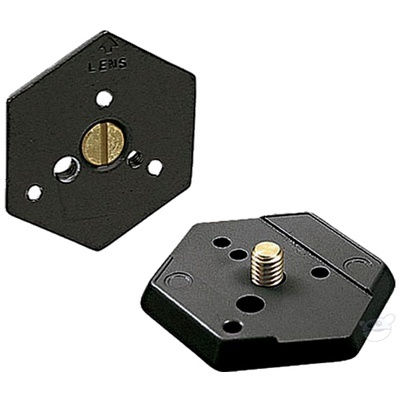 Comes supplied with both 1/4"-20 and 3/8" screws. This item replaces old item code #3048H.